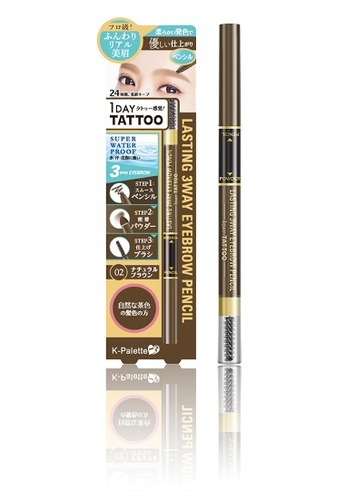 Get your brow game on with this 1DAY Tattoo Lasting 3Way Eyebrow Pencil from K-Palette. Beauty experts swear by this nifty product. It features a soft and creamy pencil formula in a twist design. It comes with a matching powder on the other end in a sponge tip to soften up your look, and a spoolie for a perfectly groomed finish. Can't find 1DAY Tattoo Lasting 3Way Eyebrow Pencil in Natural Brown in your size? 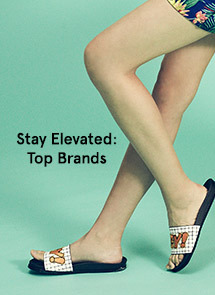 Care label Do not store in high temperatures. Keep away from direct sunlight.